It doesn’t end well for the PR Exec. Just so we’re clear. 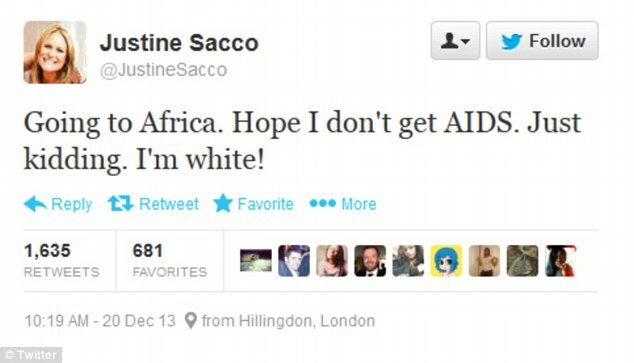 The PR Executive, Justine Sacco, tweeted the offensive message just before boarding her flight to South Africa. Apparently, she didn’t fly on a plane with in-flight wifi. Had she been connected to the internet during her 12-hour flight from London to Cape Town, Ms. Sacco may have streamed Lethal Weapon 2 clips seen her insensitive message retweeted over 3,000 times and picked up by several media outlets around the world, according to UK’s Daily Mail. She also missed the hashtag #HasJustineLandedYet, which trended on Twitter during her flight. After she landed landing, Sacco deleted the tweet and then her Twitter account altogether. (Although several spoof Twitter accounts like this one have since arisen). It was around that time that IAC fired Ms. Sacco. 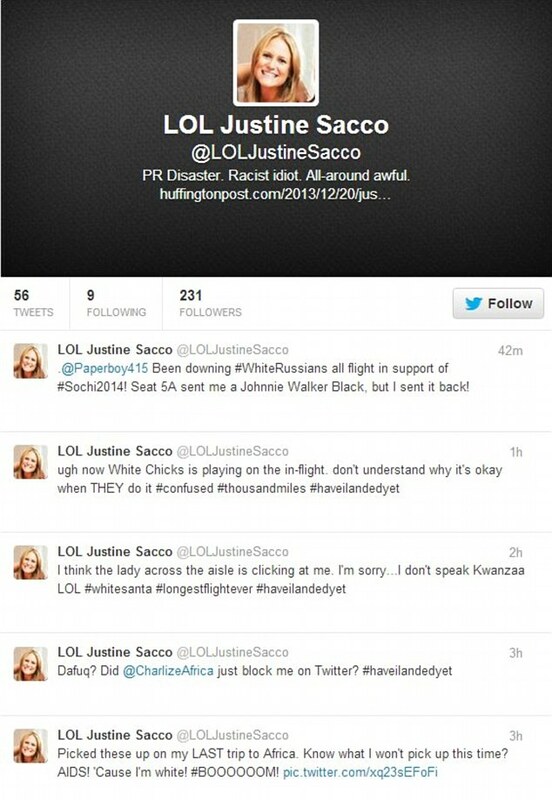 It’s also worth noting that Sacco’s tweet came from a personal account, rather than IAC’s corporate account. Still, few could argue with IAC’s decision to fire Sacco. How would handle a similar situation involving an irresponsible employee tweet going viral from her personal account? Let me know in the comments below.